Investigators with the Ohio Bureau of Workers’ Compensation landed five convictions in May of individuals caught cheating the workers’ compensation system or deceptively obtaining prescription narcotics. Those convicted included one woman who was cashing in on a dead man’s injured worker’s benefits, another who falsely claimed she was poisoned at work, two men who were found working while receiving BWC benefits and another who hoodwinked two physicians into writing overlapping prescriptions for painkillers. Darlean McCurdy (Hamilton County) – McCurdy pleaded guilty May 10 to one count of workers’ compensation fraud after investigators photographed her using a deceased BWC claimant’s EBT card to withdraw cash from several ATMs. A Hamilton County common pleas court judge on May 24 ordered McCurdy to perform 100 hours of community service, serve five years probation and repay the BWC $7,321.16, plus $2,265 in investigative costs. She was also sentenced to a year in prison but only if she violates her parole. Jennifer Martin (Morrow County) – Martin filed for BWC benefits after claiming to police someone at work poisoned her by putting bug spray in her beverage. A police investigation found her claim to be false. Martin pleaded guilty to a misdemeanor count of workers’ compensation fraud May 10 in Mason Municipal Court. A judge sentenced her to one year probation and ordered her to repay the BWC $2,143.50 for its investigation and pay court costs of $420. The judge also sentenced her to 180 days in jail, which he then suspended. James Calvey (Cuyahoga County) — Calvey pleaded guilty to a misdemeanor count of workers’ compensation fraud May 17 after investigators filmed him working as a tow truck driver while receiving Temporary Total Disability Benefits from the BWC. A Franklin County common pleas judge sentenced Calvey to 10 days in jail, to be served in August, and fined him $100. 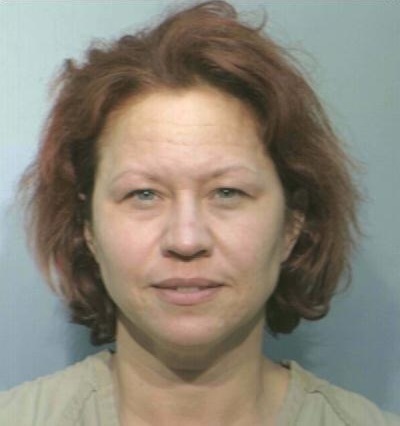 Carol Hoover (Pike County) – Hoover pleaded guilty May 10 in Clark County Common Pleas Court to one count of deception to obtain a dangerous drug, a felony of the fifth degree. She was sentenced June 1 to two years of community control and fined $1,000. BWC investigators became suspicious after reviewing records indicating Hoover received narcotic prescriptions with overlapping fill dates from two different physicians. When interviewed, the physicians said they felt deceived and would not have prescribed the narcotics had they been aware of the other prescribing physician. Spiro Frangos (Mahoning County) — Frangos pleaded guilty to one count of workers’ compensation fraud, a fifth degree felony, on May 9, after investigators found him working as a laborer while receiving BWC benefits. A Franklin County common pleas judge sentenced Frangos to two years of community control.